This baby gown is ready to be worn for the perfect picture!!! The long sleeves and the chest are white stretchy material that go to a long white silk bow. From the bow down it is a blue, yellow, white and rust orange scroll print. The gown is very long and gathers by elastic at the bottom and ruffles out to the bottom hem. 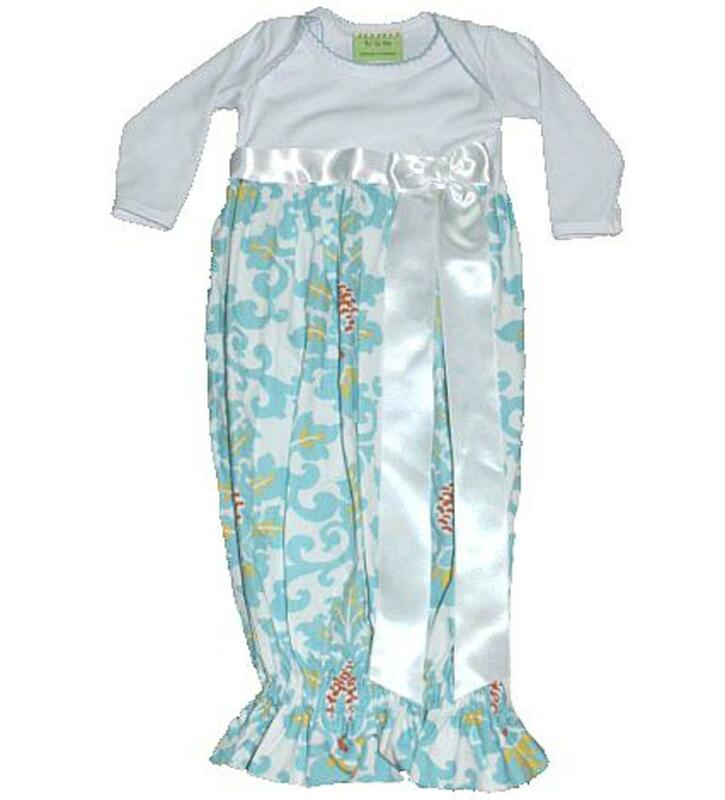 The top of the gown is easy to get on/off with the decorative flaps that overlap and have a blue picot trim. These roll off the shoulders for when babies have blowouts in diapers, so you do not have to take the outfit over the head. 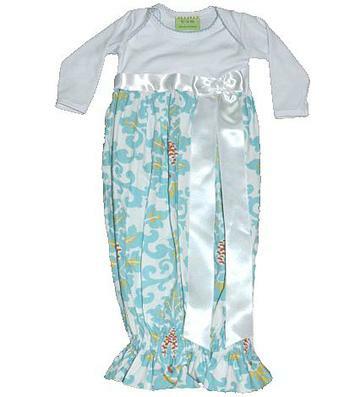 This adorable and soft gown is 100% cotton.